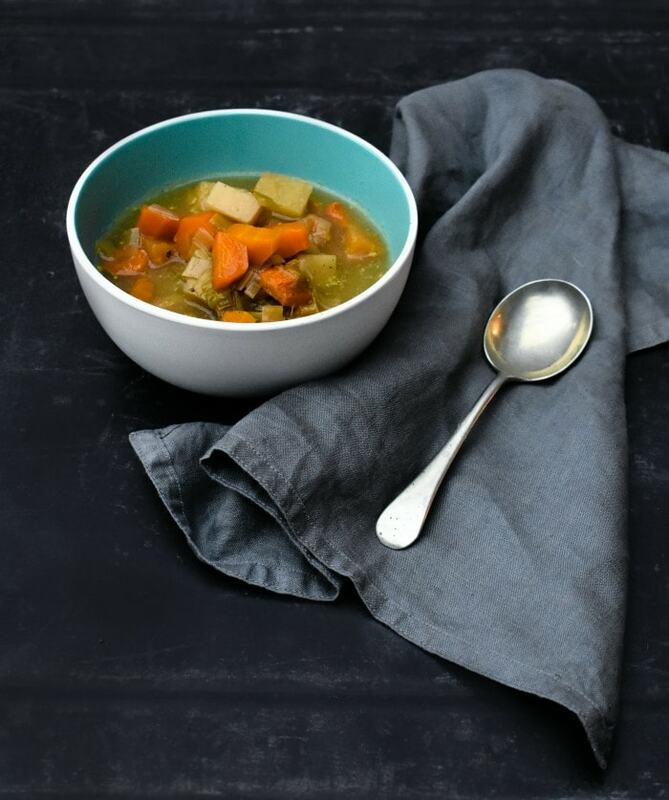 It's a chunky vegetable soup made with seasonal winter root vegetables. The only vegetables that were available in the winter before vegetables were flown in out of season and before the birth of the freezer and year long access to whatever you want. Our families used to eat seasonally and it's a good tradition to follow. Vegetables taste better when they're in season and of course they're cheaper too, never mind all the air miles it saves. We try to eat as seasonally as we can, but like all families there are a lot of our staple ingredients that come from other countries. I think just do what you can and fruit and vegetables are a good place to start. This is what is so elegantly named dump soup in the US. As in all the vegetables are dumped in and not pre-cooked first. That's right just chop them and throw them in. Of course dump has other connotations, it is a recycling centre for rubbish (trash), it's when you tell someone you aren't seeing them any more and it has one more meaning we won't discuss in polite company. Dump recipes are all the rage right now and you can understand why these days when we are all so busy and pushed for time. For this soup, I chopped and added onion (I usually add white onion, but I only had red), garlic, leeks, carrots, turnip and potato. I gave it all a good mix, added enough vegetable stock to cover it and set it to slow cook on low for 8 hours or high for 6 hours. Of course you could make this on the cooker top in a pot too, but I would saute the onion and garlic until soft first since it doesn't have that long slow cook. Before you hit the recipe, lets clear up the enigma that is a turnip. It is a Scottish root vegetable with a yellow flesh. It's a big brute and hellish to cut, but tastes wonderful in soups or mashed with lots of butter (vegan spread), salt and pepper. To confuse things, in Scotland we also call it a neep as in neeps and tatties (potatoes). We also have a nickname for it, the tumshie. Now this is where it gets complicated. 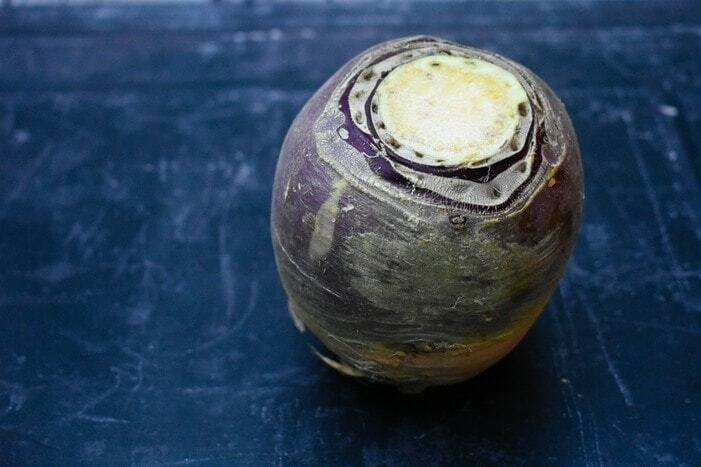 We quarrel with our neighbour England about many things and one of them is the humble turnip. They call them swede and are obviously misguided (waits for ranty comments). In the US they are called rutabaga. 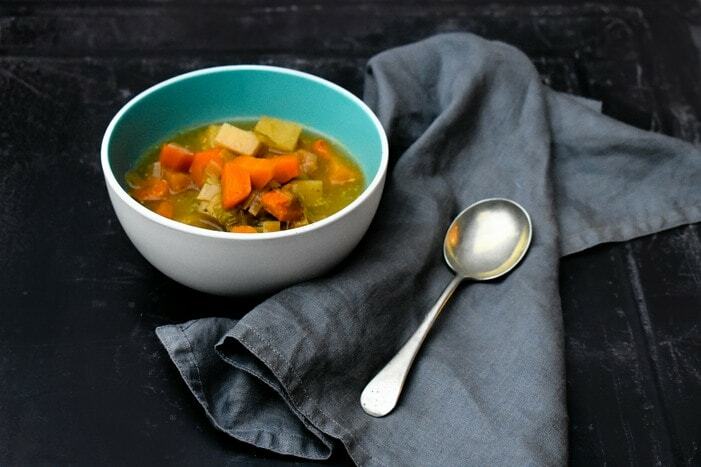 This soup is virtually fat free, low calorie, high in dietary fibre and potassium. It also has a good source of iron and calcium. It is perfect for those on a budget and anyone who is watching their weight on a calorie controlled diet like the 5:2 diet. 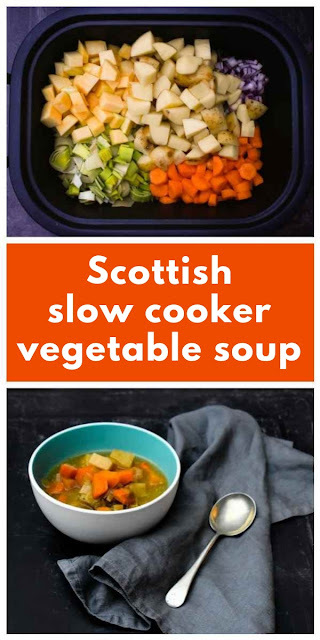 A traditional Scottish winter root vegetable soup made in the slow cooker. Fat free, low calorie, satisfying and very tasty. A hug in a bowl. 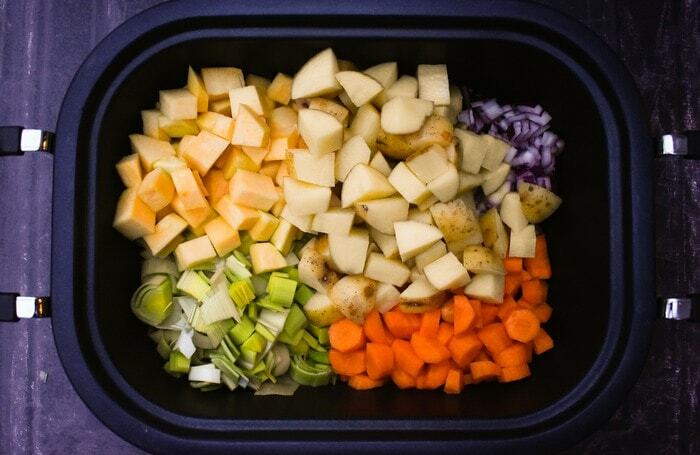 Add all the ingredients to your slow cooker pan. Mix well and add the stock, then season with salt and pepper. 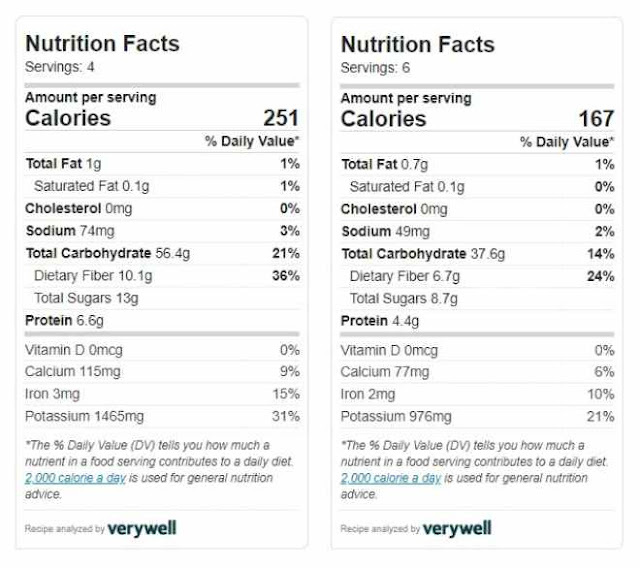 Calories and nutrition are for 6 servings. 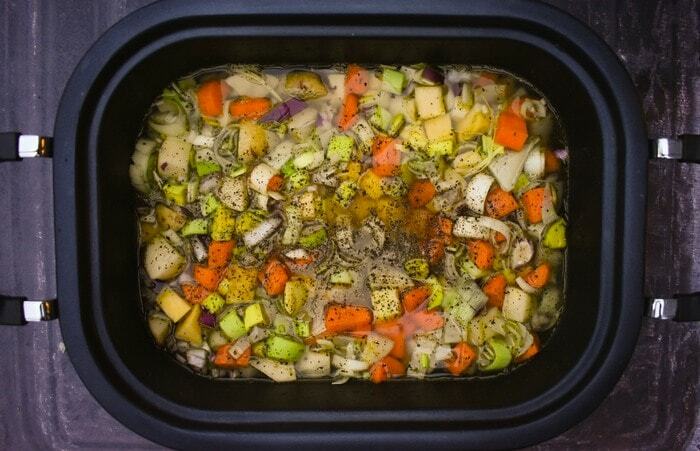 This soup looks amazing! Saving to try soon! 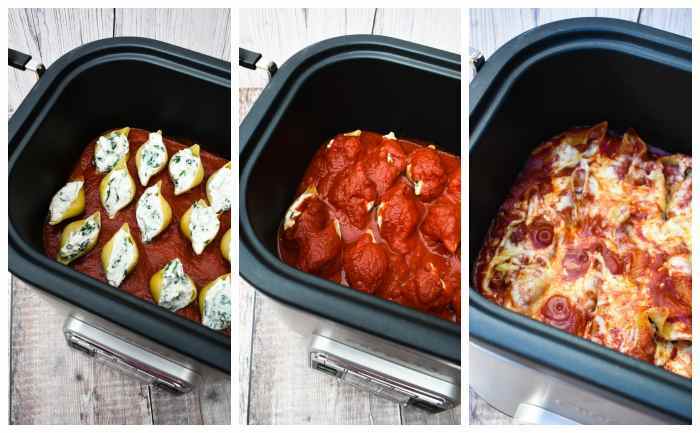 There is nothing I love more than using my slow cooker on a cold winter night. And making a hearty stew like this just seems perfect. What a great way to warm the belly and soul. Yes you are so right Vicky and so comforting. 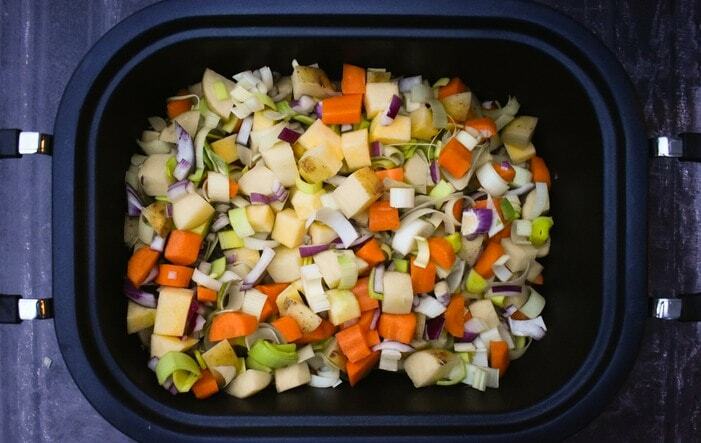 I love everything about this healthy soup! I've never tried turnips (or rutabaga) :) but it's time that I do! Yes do, they are great mashed or in a soup or stew. This is such a hearty and healthy soup! Perfect warmer this cold season!